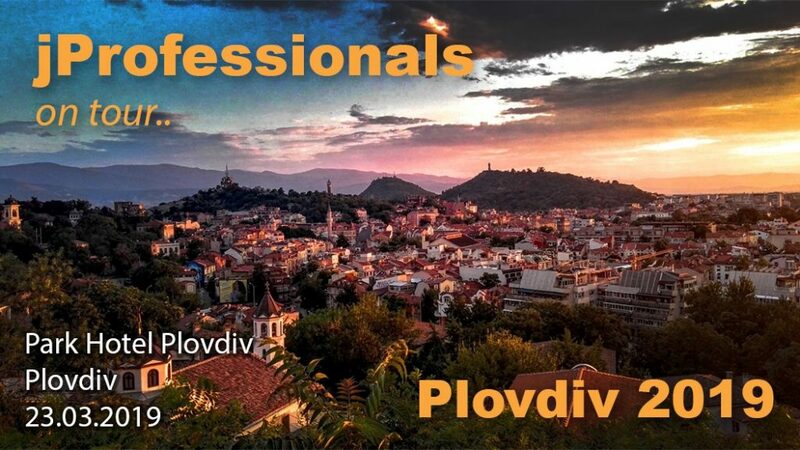 After a very successful jProfessionals on tour Plovdiv second edition, we are continuing on to jProfessionals Plovdiv 2019! We’d like to invite all of you who will be there on 23d March 2019 to join us as a speaker or attendee. Remember, this is the series of events, where the stage is yours. There, you are encouraged to share with our Java community any topic that you might find interesting. If you don’t have much experience in public speaking, this is the event for you. The event will be held in Park Hotel Plovdiv hotel, Plovdiv. See you all in ancient and beautiful Plovdiv!